Under the leadership of State School Superintendent Richard Woods, the Georgia Department of Education (GaDOE) launched a Vision 2020: Educating Georgia’s Future plan for education. Georgia’s newly adopted Georgia Standards of Excellence in Social Studies and Science were developed using the expertise of Georgia’s classroom teachers and post-secondary institutions and input from Georgia’s stakeholders. Though national standards existed, Georgia created a set of standards that were developed specifically for the students and teachers of our state. Working with teachers, the Georgia Department of Education is refining its Teacher Resource Link (TRL) so it can organize and deliver high-quality instructional resources, professional learning, formative assessment tools, and interventions/strategies in a more teacher-friendly way. This tool doesn’t tell teachers how to teach, but provides them with a menu of quality resources and tools that can personalize the learning of their students. Just as learning doesn’t stop within the walls of a school, access to internet connectivity can’t either. The Georgia Department of Education has worked in partnership with the Office of Student Achievement to increase bandwidth to schools, strengthen and expand wired and wireless networks, and support devices for students – and we must continue to expand to meet the growing needs of student learning. These tiers of technology support must be expanded to include a community tier where parents, students, and educators have 24/7 access to high-quality instructional resources and support. 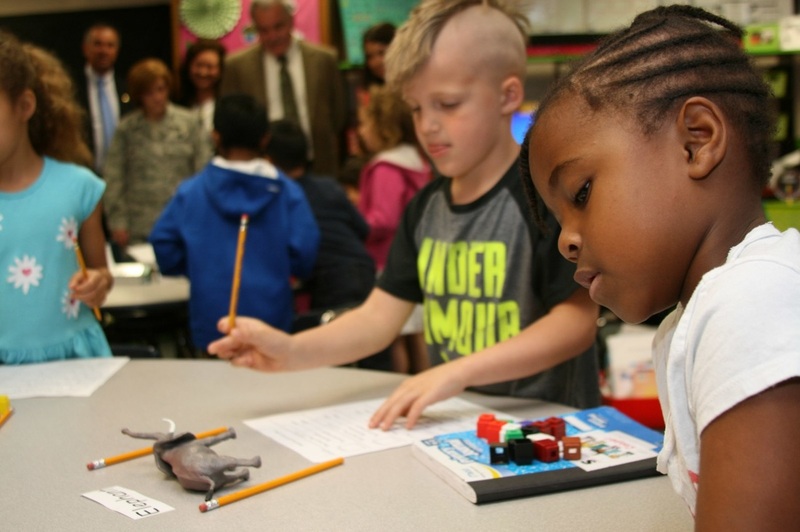 The critical work of Governor Nathan Deal and First Lady Sandra Deal has laid a firm foundation for an increased focus on literacy and numeracy skills. A firm foundation of the fundamentals in the early grades ensures strong success in the latter grades. Since 2011, the Striving Readers grant project has led to increased literacy outcomes for 100% of the 328 Georgia schools served. 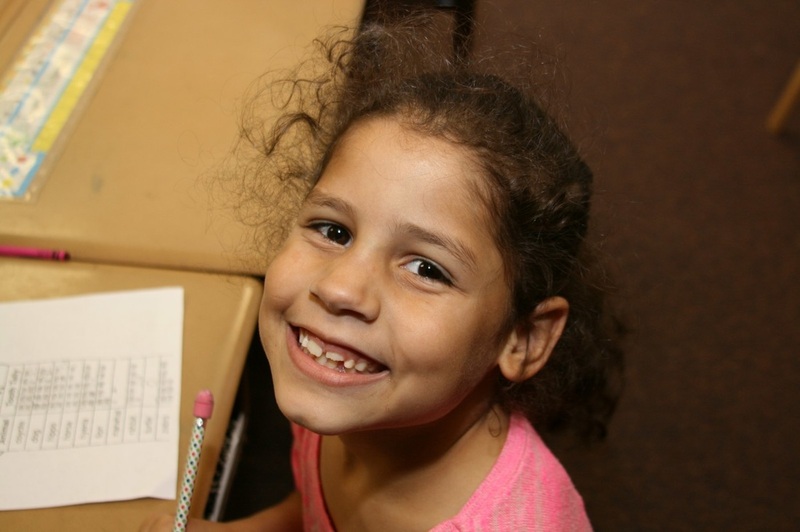 The project improved learning among elementary, middle, and high school students and dramatically changed the trajectory for struggling learners. Overall, 70% of students met or exceeded growth expectations. Lessons learned and best practices will be scaled up to support literacy efforts across the state. A Literacy Think Tank, representing over 50 literacy professors from Georgia’s colleges and universities, was formed to create an action plan for improving literacy preparation for new teachers. The Georgia Department of Education teamed up with the Get Georgia Reading Campaign to hold 15 community meetings across the state. Using the Get Georgia Reading pillars of Language Nutrition, Access, Productive Learning Climate, and Teacher Preparation and Effectiveness, these partners highlighted six building blocks for laying a strong foundation of literacy skills: Engaged Leadership, Continuity of Instruction, Formative and Summative Assessments, Tiered Supports, Community Partnerships, Professional Learning. Based on these building blocks, the Georgia Department of Education has created a statewide literacy plan. The Georgia Department of Education is developing tools to assist districts with utilizing both local and state literacy data and identified best practices and strategies to ensure their students are on a path to reading and numeracy proficiency. Media specialists and public librarians are an essential part of curriculum support and lifelong learning by ensuring access to books, resources, and programming during and after school hours. Partnering with the Georgia Public Library Service, the Georgia Department of Education held three events across the state to spotlight summer reading and to urge families to sign up for library cards. Through partnerships with the Get Georgia Reading Campaign, students had access to more than 10,000 free digital titles – and together, they read more than 200,000 books. Over 100,000 books were donated to students, media centers, and libraries. Working with the 21st Century Community Learning Centers program, books and lessons were shared with students along with information about access to e-books and how to get a public library card. Partnering with the Georgia Public Library Service, we will work to ensure that every Georgia student graduates school, not only with a diploma, but with a public library card in hand. The Georgia Department of Education also sends out a monthly newsletter for media specialists and will be holding a series of events to get their input and pull together best practices and resources. With the passage of 2015’s Senate Bill 364, districts have been given the opportunity to eliminate Student Learning Objectives (SLOs). This gives teachers the flexibility to work collaboratively to shore up literacy and numeracy instruction across content areas. The Georgia Department of Education will develop and curate resources to help non-ELA and Math teachers to infuse literacy and numeracy skills naturally within their own instruction. Senate Bill 364’s focus on literacy and numeracy skills in the early grades continued with a new formative assessment tool for grades 1 and 2. With positive policy changes coupled with increased options for students and support for teachers, Georgia’s graduation rate has continued to rise. Working with fifty school districts, the Georgia Department of Education’s Student Success: Imagine the Possibilities plan has increased the graduation rate for students with disabilities by 19%. Students who complete a Career Pathway have a 94.9% graduation rate and students who enroll in just one Advanced Placement (AP) course have a 97% graduation rate – across subgroups of students. The GaDOE has focused on providing new paths to a high school diploma – one diploma, with multiple paths to get there. With the development and adoption of Computer Science, Foundations of Algebra, and Math Ready courses, students have more ways to earn core content credit by taking relevant coursework. In addition to the existing International Skills, Biliteracy, and Fine Arts diploma seals, the Georgia Department of Education is working on diploma seals for students who have achieved readiness in certain areas through work-based learning, career-related capstone projects, and have employability/soft skills. Not only do these initiatives recognize students who demonstrate excellence, but they signal to business and industry that students have specialized skills in certain fields. Every child in Georgia will earn college and/or career credit before they graduate high school. The Georgia Department of Education is committed both to a high graduation rate, and to the goal of every student graduating with college and/or career credit. The goal is that every student will obtain at least one of the following: Advanced Placement (AP), International Baccalaureate (IB), Move on When Ready (MOWR), or articulated college credit; an industry-recognized credential; completion of a Career, Technical, and Agriculture Education (CTAE) Career Pathway; or completion of a work-based learning/apprenticeship program or career academy program. Under the leadership of Lieutenant Governor Casey Cagle, career academies have provided strong, responsive partnerships with business and industry while expanding career related opportunities for students. Extended day for Career Tech and Agriculture teachers means extended opportunities for our students. Career Technical Student Organizations (CTSOs), co-curricular organizations, equip students with leadership, communication, and soft skills through industry-related competitions and events. Several national officers continue to come from Georgia, representing FFA, FBLA, TSA, and HOSA. For 2016-2017, the Georgia Department of Education is piloting a Career Coach program. Career coaches work in partnership with area business and industry, postsecondary institutions, school counselors, work-based learning coordinators, and school leaders to work with students to ensure they are equipped with the information they need to make informed decisions about future careers. Efforts must continue to increase the support and capacity of school counselors. With the integration of more effective career interest inventories as well as the release of a Counselor Companion tool (August 2017), students and parents will have the information and guidance necessary to ensure they are prepared for the future. In order to strengthen the partnership between business and education leaders, the Georgia Department of Education is working with other state agencies to create an opportunity for schools districts that demonstrate active collaboration and responsiveness with business and industry to earn a certification for their efforts. The Georgia Department of Education is developing the Georgia Career Pipeline Tool (January 2017), an interactive map that will show business and industry needs, and Career Pathway completers, in every Georgia county – allowing business/industry and educators to join each other in diagnosing needs and preparing students. In 2015, over 55,000 Georgia teachers (nearly half of the teaching workforce) cited the “Number and Emphasis of Mandated Tests” as the number one reason teachers were leaving the profession (learn more at bit.ly/gadoeteachersurvey). Parents and students also cite high-stakes testing as a key concern. The Georgia Department of Education is committed to a shift in the use and culture of testing where assessments inform instruction, rather than drive instruction, through the support of quality, effective diagnostic tools that teachers can utilize in their classrooms. Passed overwhelmingly by the Georgia legislature and signed into law by Governor Deal, Senate Bill 364 eliminated eight high-stakes Milestones tests and gave districts the option to eliminate high-stakes Student Learning Objectives (SLOs) tests. This move brought Georgia in closer alignment with federal testing requirements. A proposed State Board of Education rule would allow students who are enrolled in a Move on When Ready (MOWR) course in 10-12th grade and receive college credit to exempt the high-stakes state test for related courses. Ending excessive requirements and providing additional flexibility, adoption of this rule could eliminate up to five high-stakes tests for high school students. Professional learning, like the Formative Instructional Practices (FIP) online modules, supports teachers in creating, administering, and using quality formative assessments in the classroom. The Georgia Online Formative Assessment Resource (GOFAR) gives teachers access to items aligned to the states Milestones assessment and gives them additional tools to build and administer diagnostic assessments in a classroom setting. To support local districts in developing their own creative ways, such as portfolios, performance tasks, competency-based, instruction-embedded, etc., for diagnostically assessing students, an Assessment Innovation Fund is being explored. Funding would be used to foster innovation at the local level while creating an assessment library that districts could choose from to best capture and address the learning of their students. ​Georgia has the opportunity to change the culture and purpose of testing and be a national leader. With the grades 1 and 2 formative assessments, the Georgia Department of Education is exploring innovative ways to assess students through gamification (students engage in online games and activities), breaking assessments out in shorter, more timely segments, and ensuring that assessments are used to inform instruction, not drive instruction. Governor Nathan Deal has shown leadership by establishing taskforces focused on fine arts and computer science education, laying a firm foundation to create and grow learning opportunities for students across the state. In order to grow support and capacity, the Georgia Department of Education hired the first ever Computer Science Specialist for the state. In June 2015, a Fine Arts Specialist was hired – a position that had gone vacant for over twenty years. In partnership with Georgia Public Broadcasting (GPB), we are designing virtual fieldtrips that tie together the rich cultural experiences of museums, historic sites, and prominent places with academic standards to bring instruction to life. While new computer science courses have been adopted and fine arts virtual courses have been developed and refined, the Georgia Department of Education is working with teachers and state agencies/organizations to blend fine arts and computer science instruction into core content areas to ensure access for all students. The Georgia Department of Education is in the process of revising the fine arts standards for art, music, and theater. These standards have not been updated in nearly twenty years. Updated standards, the inclusion of digital mediums, and responsiveness to Georgia’s growing creative economy will signal a renewed focus on and support for fine arts. With the Georgia Professional Standards Commission shifting away from professional learning based on seat time and toward more job-embedded opportunities, as well as the creation of a professional growth component of the state’s refined teacher evaluation system, providing personalized professional learning for teachers and leaders is critical. A strong, collaborative partnership with Georgia’s Regional Education Service Agencies (RESAs) will be critical for expanding opportunities, complementing efforts, scaling, and sustaining professional learning efforts. Just as there is wide consensus that a personalized model instead of a one-size-fits-all approach to student learning is more effective, our teachers and leaders deserve a professional learning delivery model that leverages their strengths and addresses their weaknesses. The Georgia Department of Education is committed to providing professional learning that is more responsive – delivered in a variety of ways (in person, self-paced online courses, facilitated courses, blended, virtual Professional Learning Communities), relevant – tailored to identified needs, and allows them to communicate and collaborate with colleagues across the state. The Georgia Department of Education recently reorganized so that all federal programs are under the same umbrella. This restructuring created an environment that will foster the shift from a compliance and control model to one that focuses on service and support. It will also ensure that all federal programs are on the same page and can work in coordination to support Georgia’s students. The Georgia Department of Education is conducting a pilot with districts focused on the consolidation of federal funds, which will allow districts to pool funding in order to support their work in a more effective way. This pilot gives us an opportunity to streamline processes, procedures, and requirements while adhering to the level of transparency Georgia taxpayers expect and deserve. All but two school districts in Georgia have adopted a flexibility model. In exchange for increased performance goals, districts are given increased flexibility. The Georgia Department of Education will focus our efforts on spotlighting innovative best practices occurring in different parts of the state, guiding districts in using flexibility effectively, and facilitating partnerships among districts that are similar demographically or regionally in order to create solutions to common challenges. School climate is a leading indicator of academic achievement. The Georgia Department of Education’s Positive Behavioral Interventions and Supports (PBIS) initiative has focused on reducing disciplinary incidents, increasing a school’s sense of safety, and supporting improved outcomes. In partnership with RESA school climate specialists, over 1,000 schools are effectively implementing PBIS. Georgia is working with stakeholders to develop social-emotional learning resources so teachers can foster soft skills and create a positive classroom environment. In order to increase the number of schools with a safe, healthy, and positive learning environment, students need access to mental health and behavioral health services in school and must engage state and local agencies and non-profit organizations. This will also require a shoring up of support to increase the capacity of school nurses, school counselors, school psychologists, and school social workers. These professionals must be brought to the table to help create systems of supports that meet the academic and social emotional needs of all students. And we must provide the support needed by bus drivers, support staff, and all those individuals who have a direct impact on school climate through their interactions with students. The Georgia Department of Education’s School Nutrition division is partnering with the Georgia Department of Agriculture under the leadership of Commissioner Gary Black to increase the number of cafeterias serving Georgia-grown meals. 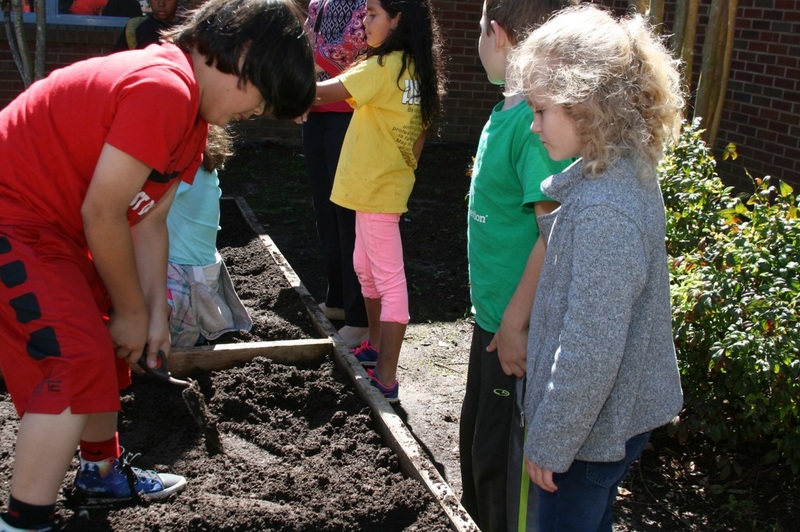 This effort boosts the state’s economy, forms stronger partnerships between schools and communities, increases student excitement over foods that have a local connection, and increases access to healthy meals. The Georgia Department of Education is also working with districts to increase the number participating in the Farm-to-School program. Play and physical activity is essential to the growth and development of students. The Georgia Department of Education has worked with the Georgia Department of Public Health to promote the Power Up for 30 program, a commitment that every child have at least 30 minutes of physical activity per day either through recess, physical education, or in-class activities. The Georgia Department of Education will also revise Health and Physical Education standards in the coming years so that teachers will have access to professional learning and resources to strengthen physical education programs and opportunities across the state. It is essential for students, parents, teachers, and community members to have a simple, seamless line of communication with the Georgia Department of Education. Student success does not happen in a vacuum – it requires statewide partnerships, and those partnerships must be facilitated by effective communication. The Georgia Department of Education and State School Superintendent Richard Woods are meeting regularly with advisory councils composed of students, parents, teachers, and local superintendents. These groups provide real feedback, which is used to guide policy decisions at the state level and ensure a genuine connection to the classroom. The Department is hosting an ongoing series of town hall meetings giving stakeholders an opportunity to connect with state leaders face-to-face and share their feedback and ideas. In addition to broader town hall meetings, GaDOE leaders have traveled the state to gather feedback on the Every Student Succeeds Act (ESSA) and to foster partnerships between education and business/industry. 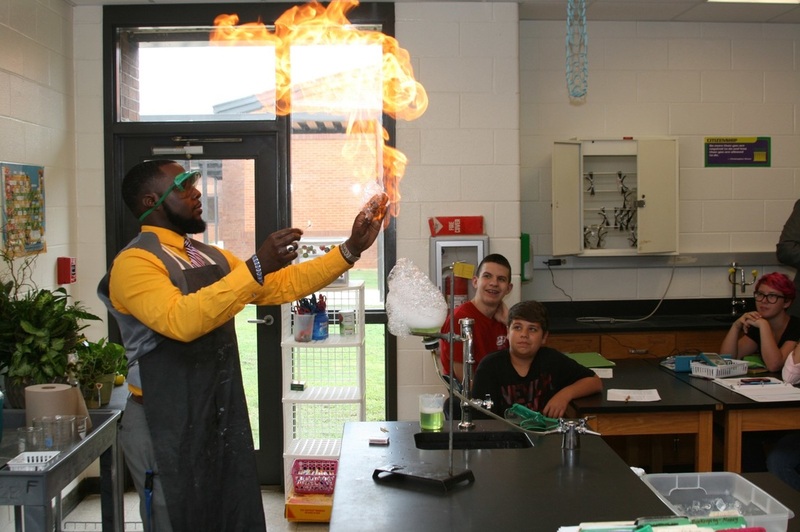 Because many educators’ primary experience with the GaDOE is through trainings and presentations, the Department is renewing its commitment to providing the best possible training experiences. New presenter feedback surveys empower participants to give anonymous feedback, enabling presenters to hone their craft and communicate more effectively over time. A revamped newsletter and email list and expanded social media presence allow a 24/7 line of communication between the GaDOE and its stakeholders, allowing both groups to move beyond “need-to-know” information and engage in an open and ongoing dialogue about the future of education in our state. The pursuit of a high-quality public education for every child is a responsibility – and an opportunity – we all share. It requires the collaborative work of state agencies, post-secondary institutions, nonprofit organizations, and civic groups. ​Together, this shared vision ensures a high standard of educational quality across the state of Georgia while giving rural, suburban, and urban communities the flexibility to meet their individual local needs. Download, print, and share the Vision 2020: Educating Georgia's Future document.